Today begins National Hispanic Heritage Month. Through Oct. 15, the contributions of Hispanic and Latino Americans will be recognized across the country, celebrating their heritage and culture. Politic365 is a non-partisan, opinion and policy blog aimed at communities of color. The site covers politics, health, immigration, technology, energy, education, and the economy. Some posts that caught my eye include Joe Biden Does an Interview with Colbert That Should Scare Team Hillary, 21st Century Jobs Have Clean Energy Future and Black and Latino Student Loan Borrowers More Likely to Express Regret About Education Funding Decisions. La Plaza has two definitions. La Plaza, the blog, covers the latest political news relating to the US Latino community. It was created by Latinovations. “We have a passion for storytelling and are committed to providing culturally relevant and insightful content about the issues that matter most to our community,” the blog says. Its roster of notable guest bloggers includes: Current Secretary of Labor Thomas E. Perez; former New Mexico Governor Bill Richardson; NCLR President and CEO Janet Murguía; USHCC President and CEO Javier Palomarez; and Los Angeles County Supervisor and former Secretary of Labor Hilda Solis. It’s not hard to find great posts on this site. I especially enjoyed reading The Growing Political Power of Dominican-Americans in the Northeast, Guest Blogger: Roberto Valdez “The Importance of Latinos and Clinical Trials, and Guest Blogger: Analisa Freitas “Affordable Clean Energy Solutions and the Clean Power Plan, Bridging the Energy Divide. It was founded by a couple of professors of political science, Gary M. Segura and Matt Barreto. Posts on Latino Decisions are strictly political and really in-depth. I appreciate the research that goes into each piece. Several notable posts include Health Care Costs Remain Major Hurdle for Hispanics in New Mexico, New Poll: Latinos Want CA Legislature to Tackle Pollution, Climate Change in Latino Communities, and On the Prospects of a Blue Arizona. It was launched in 2004. Today, the blog features columns and posts on culture, issues (diversity, economy, education, human rights, and health, to name a few), local news, and politics. There are many great posts on Latina Lista. I especially enjoyed Guest Voz: My dream school rejected me. Here’s what I learned., Study: Children of Immigrants Experience Discrimination in Schools Early on, and Crowdfunder: Teaching homeless youth a business to keep them off the streets. P.S. Ever wonder how we come up with ideas for our blog profiles? Our handy list of industries and subjects on PR Newswire for Journalists stays top of mind. 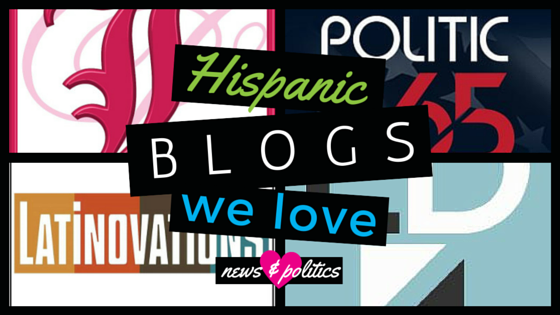 If you’re a blogger or journalist looking for Hispanic-related news, let us know. We can customize a newsfeed for you on PR Newswire for Journalists.